More than 500 national and local organisations and groups including trade unions, political parties and local groups are affiliated to CSC. 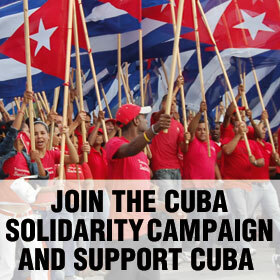 Please join them become more involved in our work by affiliating your organisation here today. If you join by direct debit you will also receive a metal pin membership badge and Miami Five campaigning film, including the feature length documentary ’Will the Real Terrorist Please Stand Up‘. Click here to download direct debit form. 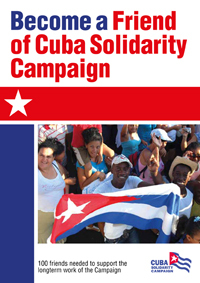 If you can afford a larger monthly commitment to support our work, the Friend of Cuba Solidarity Campaign scheme also offers 20% discounts on CSC shop items, special invites and xmas gift packs.